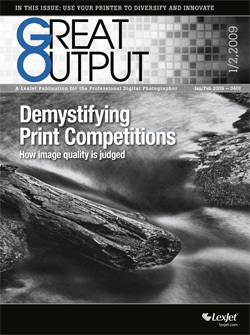 GREAT OUTPUT, published by Lexjet Corporation, is a bi-monthly magazine for photographers who want to know more about how to print, finish, display and sell digital images. The article describes the fotoflōt system and provides background on the company and its founders. You can download the magazine here, or read the article on a companion blog, greatoutput.blogspot.com.